As the University of Cincinnati celebrates its bicentennial, students, faculty, staff, and alumni look back on the university’s remarkable past and its progression as a pioneer in higher education. 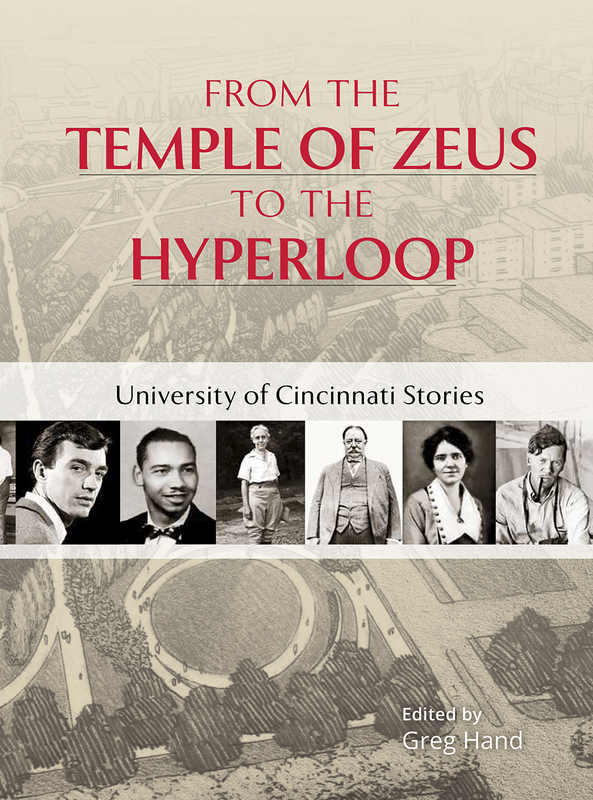 From the Temple of Zeus to the Hyperloop: University of Cincinnati Stories reflects the breadth and diversity of the University of Cincinnati over its rich and eventful history, emphasizing just what makes UC’s history so special and inspiring—its stories. Former Ohio Governor Bob Taft remembers his law school days in a building named for his great-grandfather. Broadway star Faith Prince recalls her musical theater start at UC’s College-Conservatory of Music. More than thirty-five contributors provide their own unique perceptions of this extraordinary urban university. Some are well-known names like Taft and Prince, while others are current students and alumni whose education and futures were profoundly shaped by memorable experiences connected to UC. Clark Beck recounts the struggles he initially faced upon coming to UC and offers readers an inspiring story of perseverance and tenacity. Sid Thatham gives a captivating tale of his move from India and the home base he made in Cincinnati with UC graduate students. Other contributors celebrate the relationships, such as that between the strong-willed duo of Jack Rouse and Helen Laird, that give UC its storied past. In From the Temple of Zeus to the Hyperloop, anyone can find a person, whether it be the trailblazing Lucy Braun or the celebrated Carl Blegen, or a place, be it the changing landscape of Ludlow Avenue or the new frontier for the DAAP College, to which he or she can relate. Such figures, places, and stories present a sampling of the UC experience. From the Temple of Zeus to the Hyperloop offers readers an inside look at the many lives that have influenced UC and the opportunity to envision how their own stories can be a part of its future. Just as Hand titles his introduction, “a dedicated crew of bearcats assembled this book,” the University of Cincinnati and its story continue to be a community effort, deeply intertwined with the lives of the people who have made up the university and its two-hundred years.